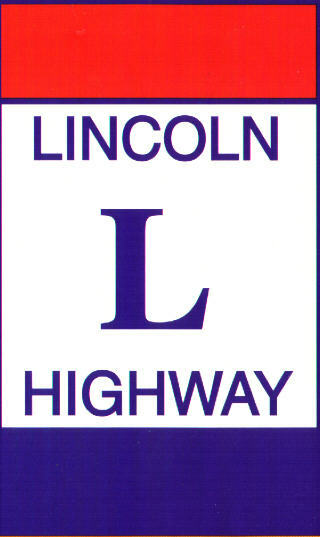 Welcome to the Lincoln Highway home page! This will ultimately become the gateway to hundreds of Lincoln Highway photos and postcards. For now, though, it leads to three features. First is a postcard tour of the Lincoln Highway from Gettysburg, PA to the Ligonier Mountains. These vintage images, most 80 or more years old, depict the Lincoln in its heyday. This tour also includes a tribute to the late, lamented Ship Hotel, high in the Allegheny Mountains near Central City, Pennsylvania. For almost seventy years it stood along the Lincoln Highway at Grand View Point ("See 3 States and 7 Counties! "), 16 miles west of Bedford, PA and 80 miles east of Pittsburgh. Alternatively, enjoy six classic strip maps, depicting the Lincoln Highway from New York to Pittsburgh, from Mixer's Road Guide and Strip Maps (1926). Finally, here's a page of photos from the start of the 2003 Lincoln Highway coast to coast motor tour, taken in Times Square. Here are some books on the Lincoln from amazon.com. Here's a link to some harder-to-find titles published by the Patrice Press. Check out the Ship Hotel! Back to the ROADSIDEPHOTOS.COM homepage!